I was so excited to finally read the second prequel to the O'Malley series. Yes, second prequel sounds odd but go with me on this, it's worth it. 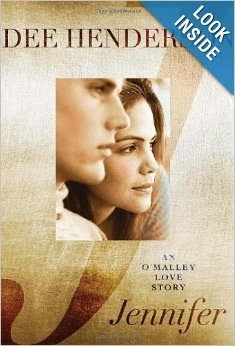 I love the O'Malley series, which I wrote about here. OK, back good now let me tell you about this new book. Here is Amazon's write up (which is really the back of the book): "It's a summer of change for Jennifer O'Malley. The busy physician has a pediatrics practice in Dallas, and meeting Tom Peterson, and falling in love, is adding a rich layer to her life. She's sorting out how to introduce him to her family--she's the youngest of seven--and thinking about marriage. She's falling in love with Jesus too, and knows God is good. But that faith is about to be tested in a way she didn't expect, and the results will soon transform her entire family." The book is very short, it's really just a quick back story to set up the next seven books. My only issue was because of the length there wasn't a lot of character development. In the little development there was you really start to love Jennifer's character and her desire to help sick kids. You also start ti like Tom's character his faith and love of Jennifer is shown through out the book. This book made me excited to re-read the series again from a new perspective.